Visit Britain is making 70 staff redundant and closing its activities in 14 countries in a drive to cut costs. Visit Britain learned in October its budget would be cut 34% by 2014/15, taking it from £28.8m to £21.2m. A consultation is now underway to cut staff by up to 30% - a total of 70 posts – with the results to be announced in April. As part of the cuts, Visit Britain plans to reduce its level of business tourism activity, with more focus on the sector by national tourism bodies, such as Visit England and Visit Scotland. Visit England head of marketing Alex Mawer said: "Business tourism is very important to us and particularly given the change elsewhere." Meanwhile, Visit Scotland's UK marketing manager Lindsay Brown said the body would be "discussing what the implications will be with the team and international marketing managers". "It is business as usual for us, but we have got the government elections coming up in May and are likely to have a new tourism minister and that could change things as well," added Brown. However, Visit Britain will provide a bid support service to attract international conferences, conventions and major sporting events. Visit Britain and Visit England will remain co-located at their offices at 1 Palace Street in London, sharing HR, IT and finance services, an arrangement that has run since October 2009. The tourism body’s chief executive Sandie Dawe said: "This proposed new structure and focus reflects our priorities and is in line with our four-year funding settlement. I have every confidence in the professionalism and passion of my team to deliver on our ambitions and for our partners and the whole tourism industry." Business Visits and Events Partnership chairman Michael Hirst said he was planning a meeting with Dawe. "I am disappointed about the cuts, but the announcement indicates some level of continuing support for bids and events," said Hirst. "The devil is in the detail and the industry needs to strengthen relationships with national boards, teh Department for Business, Innovation and Skills, and UKTI, where more support may be available." Visit London is also undergoing structural change, to be finalised in April, that will see it merged into a new body called Promote London, along with Study London and Think London. The single body – which aims to cut inefficiencies – will have an overall budget reduction of 20% compared to the three separate organisations. 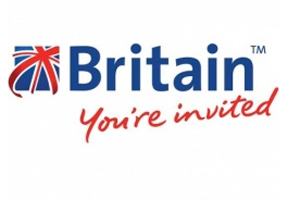 Visit Britain will also cut its presence overseas from 35 markets to 21, based in 24 key cities. It is proposing to withdraw from: Argentina; Czech Republic; Finland; Greece; Hong Kong; Hungary; Korea; Malaysia; Mexico; New Zealand; Portugal; Singapore; South Africa and Thailand.